iCloud usually comes preloaded on most modern Apple devices such as iPhone, iPad, and Macs and that helps you get going with this cloud based service from Apple easily. Soon as you set up your new device, you can begin to use a host of cloud based services using your iCloud account. Apple knows not everyone is a fan of Apple and there are people who use Windows as their primary operating system and so the company has also rolled out iCloud for Windows PCs. That means, besides using iCloud on your Apple devices, you can now also use it on your Windows PCs and get almost the same features as you do on your Apple devices. After installing the iCloud for Windows tool and trying to integrate it with Outlook 2016, some of the users complained that the app kept on crashing without any reason. This made iCloud almost un-usable on their Windows PCs as it just kept on crashing and closing. "When I try to associate my apple email account with outlook 2016 using iCloud for Windows it gives me an error that iCloud needs to be repaired. I have done this several times and still get the same message, so I completely removed iCloud and reinstalled it directly from the Web. Same result." Fortunately, there are now a couple of fixes that you can apply to resolve the issue on your computer. While these fixes do not guarantee to work, at least you have something to try than just sitting and seeing iCloud crashing on your screen. If you had an older version of iCloud for Windows installed on your computer, then it would have likely corrupted your Windows profile and so you cannot get the iCloud to work with Outlook on your computer. The best way to fix the issue is to create a new user and install a newer version of iCloud on it. This will require you to go through the new user creation process on your Windows PC - which is quite an easy task to do. Once you have setup a new profile, you will need to transfer all of your files and settings over to the new account so it has everything that your previous account had. Then, install the newer version of iCloud for Windows on this new account and you should be able to make it work with Outlook 2016 on your PC. If you are sure that your user profile is not corrupted and if the issue still persists after creating a new profile, then it has to do with the version of iCloud you have installed on your computer. The older versions of iCloud for Windows clearly mention that they are not compatible with Outlook 2016 and so you should not install them. If you happen to be on an older version of the tool, you will need to remove it and install the one that is compatible with Outlook 2016. If this is the cause of the issue for you, then you can just go to Control Panel and uninstall the older version of iCloud for Windows. Once uninstalled, head over to the Apple website and download the latest version of the tool and install it on your computer. Launch the tool after it's installed and you should be able to integrate it with Outlook 2016 on your computer. This should resolve the issue in most cases and iCloud should work fine on your PC now. 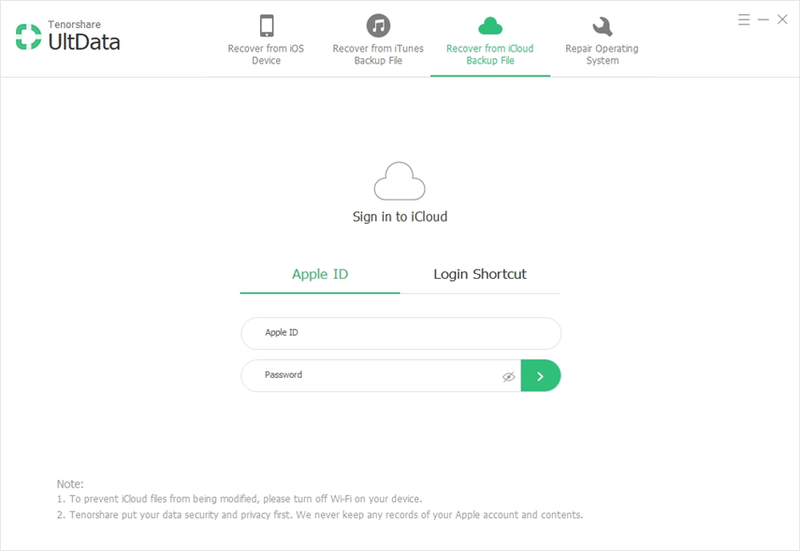 If you wanted to use iCloud on your Windows PC to be able to work with backups or things like that, then you can still do your tasks without waiting for the tool to get fixed. There's an app called iCareFone that lets you back up iPhone/iPad data without iTunes and iCloud. 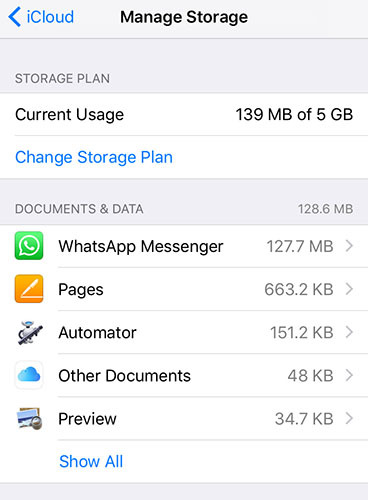 As we know, iCloud provides 5 free storage which is far less than iPhone total storage. 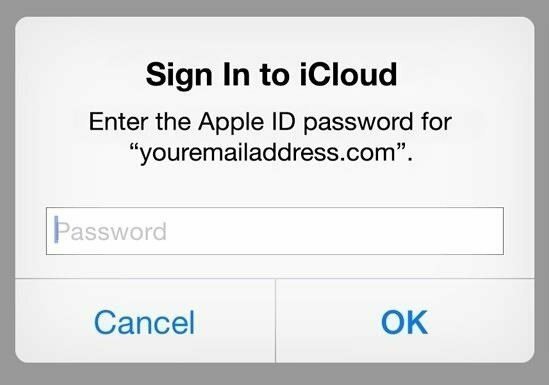 What is worse, iCloud security is controversial these days. iCareFone helps you backup iPhone data to local and has no storage limitation. Here we share some tips to fix iCloud does not work with Outlook 2016 and also an alternative way to backup iPhone data when iCloud does not satisfy all needs.